If they are implemented well prize draws, competitions and coupon schemes can have a great impact on brand sales and awareness. Done badly, the opposite is true. Competitions, prize draws, scratch cards and coupon schemes are common marketing tools. They can produce valuable data, an uplift in sales and deepen both brand loyalty and awareness. However, perhaps because most marketers only run them infrequently, these same promotions are often run badly, costing the brand time, money and resulting in reputational damage to both the brand and the individual marketer! Tough economic times have made the chances of your promotion backfiring higher than ever. There are two groups of people who are increasingly sophisticated and serious in their approach to entering promotions. ‘Compers’ are serious hobbyists who supplement their income by entering promotions systematically, often hundreds each week, but within the rules.‘Scampers’ on the other hand look to defraud promoters with techniques varying from hacking computer systems to steal winning codes through to hiring a call centre to rig a phone vote or forging vouchers. Taking shortcuts in the planning and implementation of your promotion is a certain route to disaster. Once you have launched the promotion and published the terms and conditions you can’t change the time frames, prizes, conditions of entry, judging process or any other aspect of it. So it is important to take the correct amount of time and professional advice in these early stages. In the UK, to avoid embarrassing publicity, you need to be aware of the British Code of Advertising, Sales Promotion and Direct Marketing Practice (The CAP Code); The Consumer Protection from Unfair Trading Regulations 2008; the Data Protection Act 1998; the Gambling Act 2005; and the Betting, Gaming Lotteries and Amusements (Northern Ireland) Order 1985 all of which have elements to maintain consumer trust in promotions. Laws in other countries vary considerably and what can be run easily in the UK, might be illegal or regulated elsewhere. Compers, scampers and some consumers familiarise themselves with the legislation and codes to help them make the most of the promotions available. Similarly, if you are printing scratchcards or money off coupons, you are effectively printing money and appropriate precautions need to be taken at every stage. There used to be a roaring trade on eBay of coupons obtained from printers, distribution houses or promotional teams until it was blocked by the industry. It is worth employing independent auditors to check the printings and all distribution points. Be aware also that if your coupons don’t have unique codes, scampers can use them to create multiple redemptions. 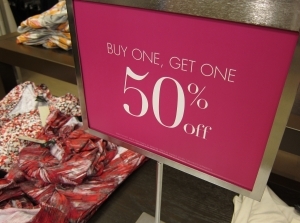 Social media has made it easier and cheaper to run promotions. However, before you decide to use Facebook or Twitter for your next promotion you should consider a few things. Not everyone likes or uses social media. In fact, in some demographics, the majority of customers don’t have or use social media accounts and many others don’t like brands using social media for marketing. Moreover, Facebook and Twitter are also a favourite hunting ground for scampers because it is very easy and cheap to buy votes or followers to fix competitions. So when you’re planning your next promotion take the time to conduct a risk analysis and think through the entire process. How can you be sure that the right number of winning scratchcards have been produced, who will be judging all those competition entries (independently and fairly) and how do you prevent abuse of codes or entries from scampers ? Time spent now, and with the right experts, will save significant money and reputational damage in the future as a quick look through the weekly ASA adjudications will demonstrate. Zoe Lyons is Head of Legal at PromoVeritas, the independent promotional verification service.